I used to blog about recipes that I had tried out from other food blogs, and I’m going to do that again this year and call it “Cooking from Blogs.” All you food bloggers out there are fonts of culinary inspiration. 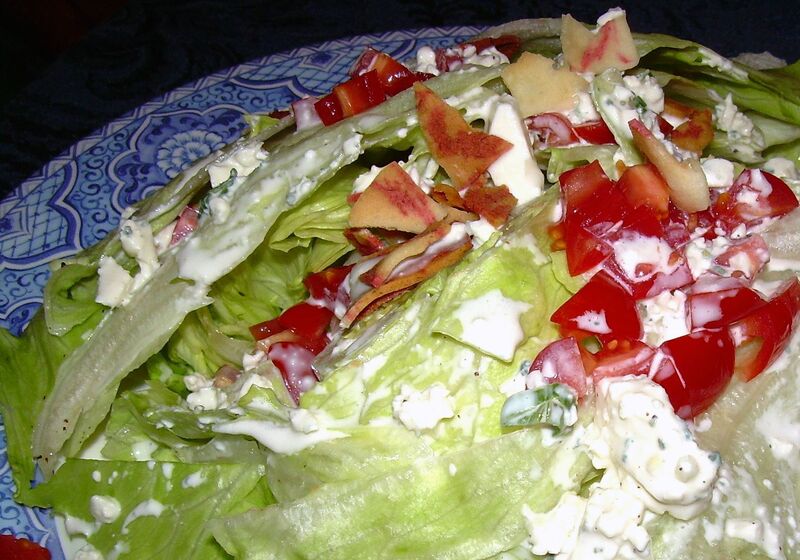 In addition to the Iceberg Lettuce Wedges with blue cheese dressing (via Smitten Kitchen), I recently tried King Ranch Casserole from Ezra Poundcake. 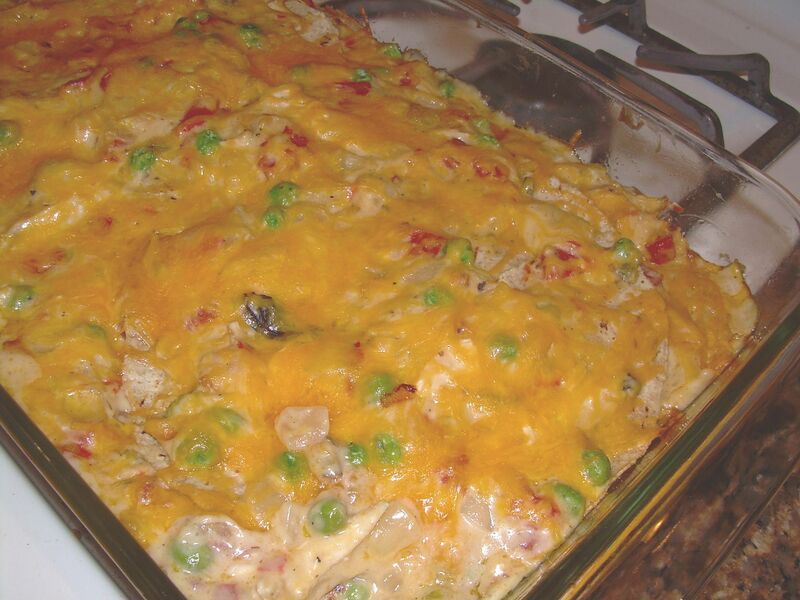 Sorry about the poor picture, but if you head over to Rebecca’s, her fabulous photos may inspire you to give this casserole a try. I had heard of this strange beast a couple of years ago, and last year bought a can of Ro-Tel to have on hand should I ever feel inspired to venture into the land of retro American gourmet cooking. I had never heard of Ro-Tel until a couple years ago, but apparently it is quite the pantry staple in some parts of the country. In the end, when I threw this together I didn’t have to buy a thing, just used up things in the pantry and refrigerator. I love it when I can do that! You can find Ro-Tel’s original recipe, here. I’m batting .1000 at this point. The wedges were a hit, the King Ranch chicken casserole (to which I added some peas for color and extra veggies) is on the repeat list. I used up different cheeses that I had laying about, and I substituted high fiber, whole wheat tortillas in the casserole, instead of the traditional corn. Master Chow enjoyed the change from the usual chicken dishes. Thanks, Rebecca, for passing along an easy recipe that my family enjoyed! 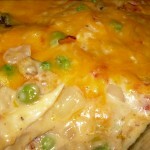 Recipe after the jump . . . .
continue reading "Cooking from Blogs – Ezra Poundcake’s King Ranch Chicken Casserole"